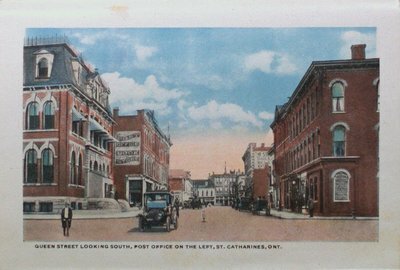 A souvenir folder containing postcards of St. Catharines. Queen Street Looking South, the Post Office is on the left side of the street, St. Catharines, Ontario. c1918. Published by F.H. Leslie Ltd., Niagara Falls.